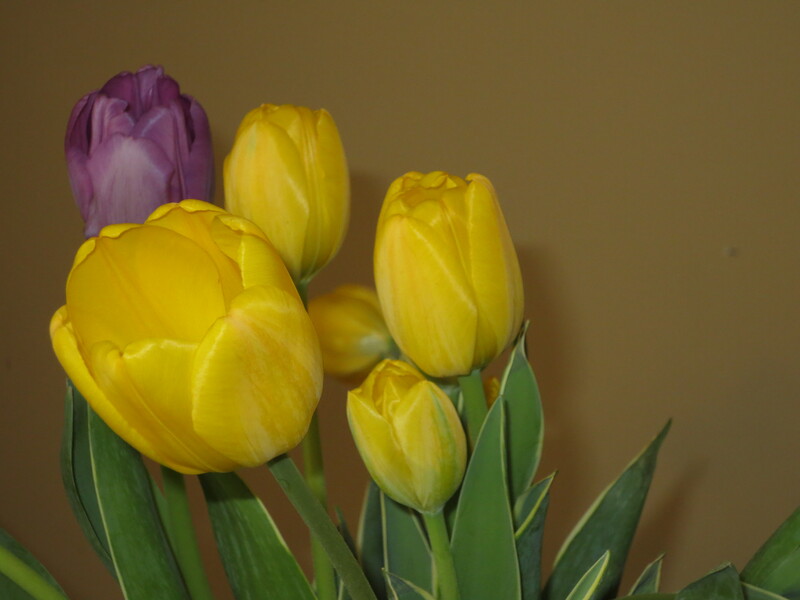 Purple and yellow tulips from a thoughtful friend. 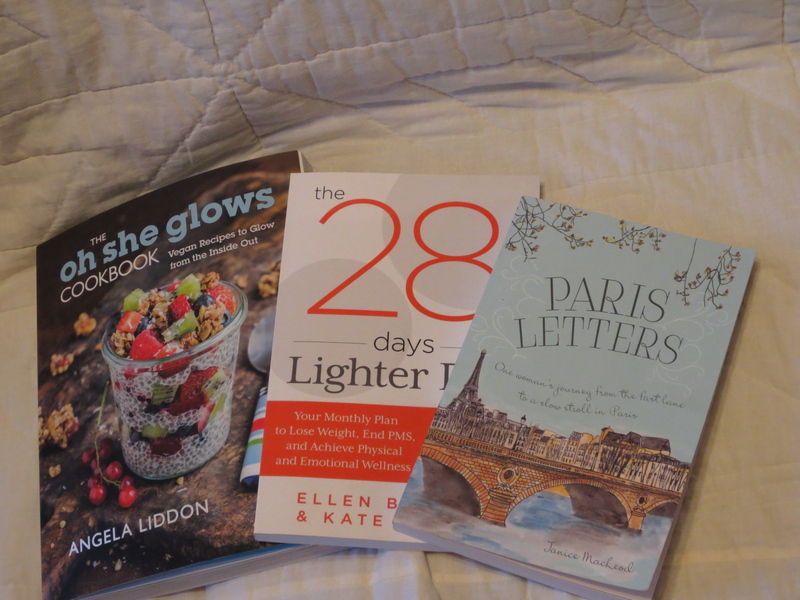 Good books…more on them very soon! March. Suddenly the sun, after months of absence, has taken on that lemony clear quality of light that foretells the coming of spring. It was pouring through the window after morning practice last Friday as I was hanging out in a Junction coffee shop, drinking tea and chatting with my favourite yoga friends. And it made me feel blessed. Blessed, and a bit reflective. You see, these friends have known me throughout the whole shift. Sometimes growth is slow to happen, but then it happens all at once. I’ve come a long way in five years. Five years ago, my life began to shift, slowly at first, then very fast, as I went through yoga teacher training, got separated, moved, got divorced and kept growing. Back then I was doing a lot of cardio and weight training. Now I practice Ashtanga yoga six times per week, strength train a few times a week, and run…occasionally. I teach and learn more about yoga whenever I can. Back then I ate fruit and processed cereal for breakfast everyday before I drank my heavily sweetened cup of coffee. Now I still eat fruit, and occasionally homemade granola, and drink green tea. Back then I went to bed late, and tortured myself with negativity. I really hated myself. I thought I was terrible at everything: teaching, being a wife, staying thin. Now, I’m careful about rest. I acknowledge my faults—temper, sweet tooth, tendency towards melodrama—but I don’t hate myself anymore. I love my body and all that it does for me—how it supports me in headstands, lets me play tag with my students, teach, write poetry and just be. I accept that I am me, and I am learning. Not that my war with myself has completely ended. You see, last November, I was working, practicing and teaching yoga, and running four times per week. My hip flexors hurt all the time. My body felt heavy. And then I fell ill.
Like, really ill. I had pneumonia in both lungs and had to be off work. I couldn’t practice or run. Midway through the first course of antibiotics, I felt no better. Luckily my doctor found another antibiotic. Then I was well again, but so frail, and my doctor told me I wouldn’t be able to run for a while. But I could do yoga. Somewhere deep inside my brain, my thin-alarm went off. “What if I gain weight because I’m not running?” So got a little obsessive about strength training, on top of yoga. But then the gains I was making in my practice started to disappear, and I realized something. My practice is enough. If I really commit to yoga, and walk like I normally do, I’ll be fine. I’m still learning how to do that. Steph on Learning to Listen….